WorkNC brings the benefits of 5-Axis machining to all users by taking the complexity out of 5-Axis machining. 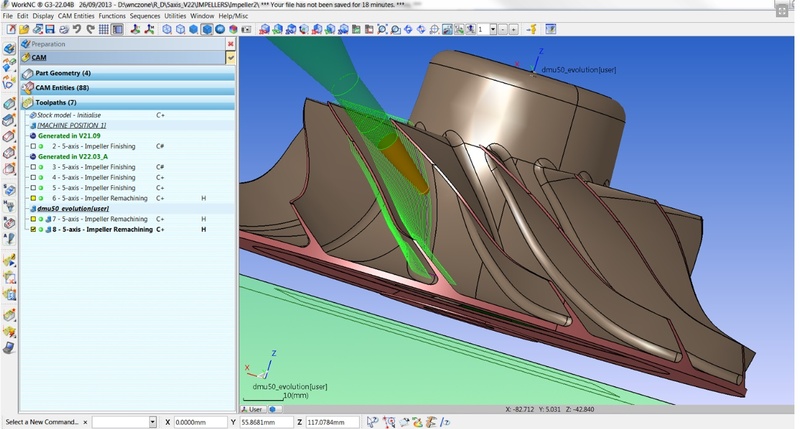 WorkNC 5-Axis includes powerful, easy-to-use programming and integrated collision avoidance. With WorkNC, 5-Axis programming is easy, safe and reliable allowing you to automatically generate 5-Axis toolpaths for the majority of your jobs. Easy toolpath preparation based on guide curveset, sections or surfaces.